Olympian, Thomas Barr, and coaches Drew and Hayley Harrison discussed the methods that led to their success at the 2016 Pat Duffy Lecture in Coaching and Leadership in Sport recently. 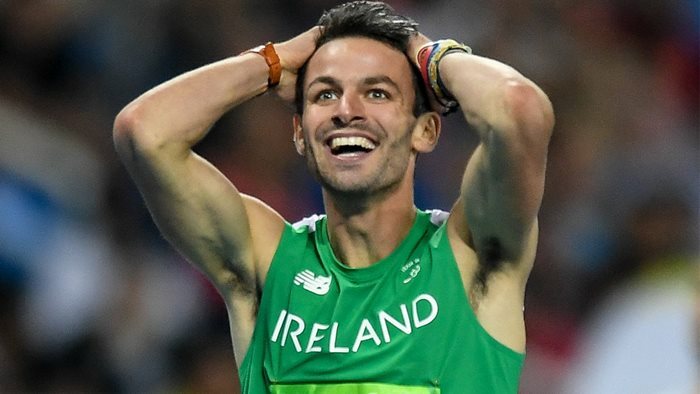 Mr Barr, who holds the current Irish senior record holder for the 400 meter Hurdles, spoke with Drew and Hayley Harrison about coaching and training. Mr Barr spoke of his fourth place title in Geneva which saw him finish at a time of 47.97, a significant improvement on his humble beginnings of 56.47. Mr Barr, who was ranked 12th in Ireland when he came to the University of Limerick, had little to no idea that he would become an Olympian. Mr Barr’s success is a result of both Drew and Hayley’s training environment and their approach to coaching. They spoke at lengths about their squad and the importance of the squad operating as one unit and how individual success is achieved through group support. Everyone brought something to the table and their training programmes were designed so that everyone was constantly training with someone. Cutting a 400m hurdle by more than 12 percent was a challenge and took Mr Barr four years of arduous training and work to improve his technique. Even still the last year of training was not Mr Barr’s best and he spoke about his injuries and having to change how he ran because of the tilt in his pelvis. He described it as “probably the worst year I’d had for preparation” and spoke of how he felt “frustrated” at constant niggling injuries and the feeling that an Olympic final was slipping away.